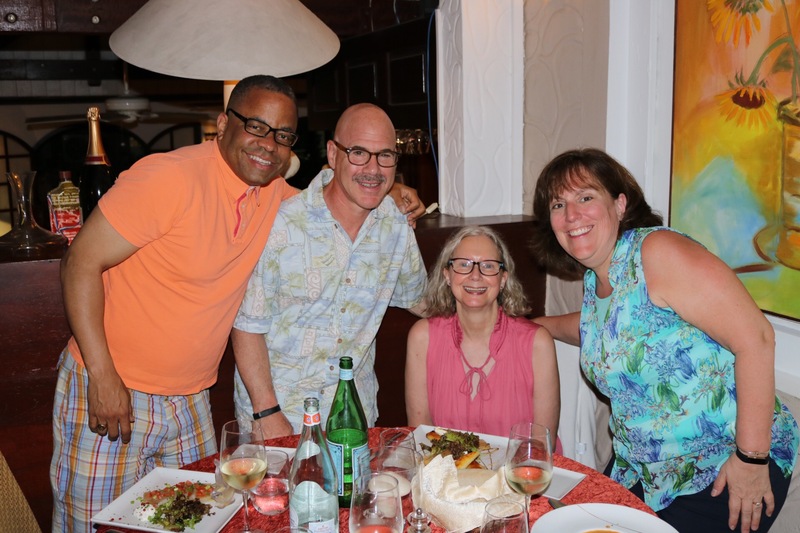 Wonderful dinner last night at la Villa in Grand Case with Alison, Scott, and Marcia. The service was superlative, the company was entertaining and the cuisine was sublime. While the crowd seemed relatively thin in Grand Case for the evening, there were only a few open tables at the restaurant when we arrived. Even more guest arrived as we enjoyed our me. Our amuse bouche was a cold carrot and cumin soup – a wonderful combination of sweet and savory flavorsvto start our dining experience. 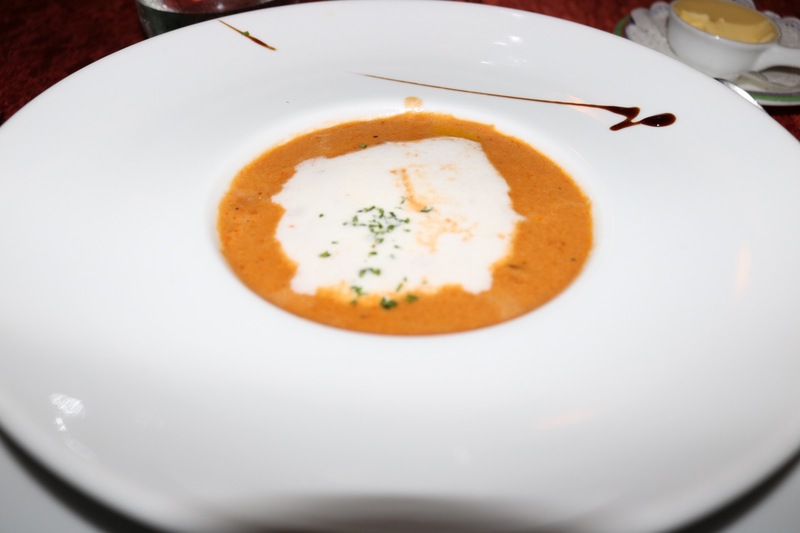 I chose to start with lobster bisque. I believe it’s a staple on their menu and it never disappoints. 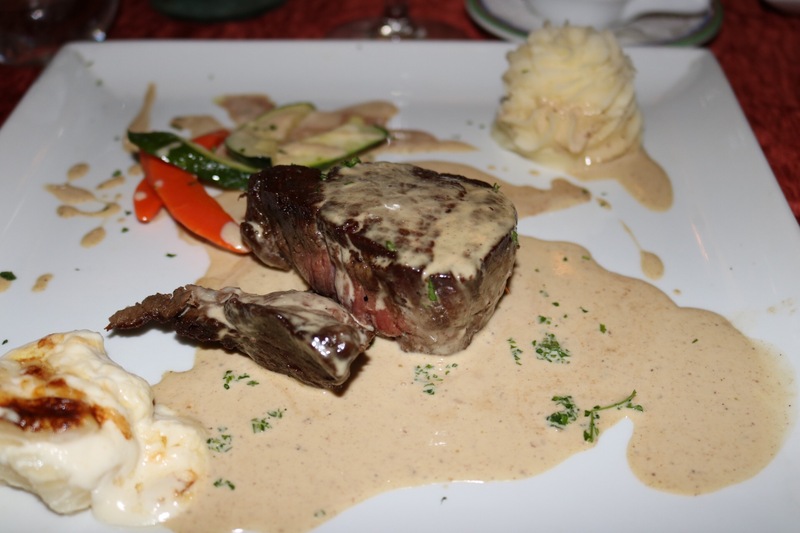 For my main I chose a filet of beef with a fois gras mushroom sauce. It was plated with sautéed fresh vegetables, mashed potatoes and scalloped potatoes. 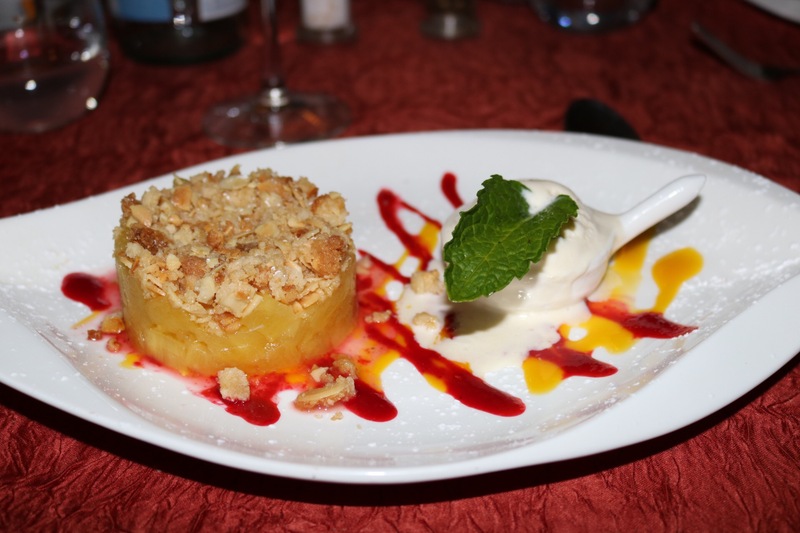 The pineapple crumble, plated with a vanilla raisin ice cream, provided a lovely flourish at the end of a fine meal.